Al-Qaeda’s number two Atiyah abd al-Rahman has been killed in Pakistan, the United States said, claiming another “tremendous” blow to the group following the death of Osama bin Laden. News of Rahman’s demise comes as the US gears up to mark the 10th anniversary of Al-Qaeda’s most spectacular attack, on September 11, 2001 on landmarks in Washington and New York, which killed nearly 3,000 people. Rahman, a Libyan, was killed in the northwest tribal Waziristan area on August 22 after being heavily involved in directing operations for Al-Qaeda, a senior US official said, without divulging the circumstances of his death. However, local officials in the region told AFP last week that a US drone strike on August 22 on a vehicle in North Waziristan killed at least four militants. It was not clear if the two incidents were connected. NEW DELHI: The Red Dragon is spreading its wings and sharpening its claws at a rapid clip. From deadly long-range nuclear missiles and an expanding blue-water Navy to potent space and cyber warfare abilities, China will have a “modern” military capable of prolonged high-intensity combat operations by the end of this decade. Pentagon’s latest assessment of the expanding military might of China, released on Thursday, paints a scary picture of the frenetic pace at which the 2.25-million People’s Liberation Army (PLA) is being modernized, in the backdrop of uncertainty over its long-term intentions. Though the US report holds that thwarting any American intervention in Taiwan remains PLA’s “main strategic direction”, New Delhi can ill-afford to ignore China’s increasing trans-border military capabilities, its assiduous strategic encircling of India and hardening posture in the border talks. Malaria-carrying mosquitoes are disappearing in some parts of Africa, but scientists are unsure as to why. Figures indicate controls such as anti-mosquito bed nets are having a significant impact on the incidence of malaria in some sub-Saharan countries. 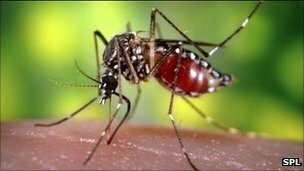 But in Malaria Journal, researchers say mosquitoes are also disappearing from areas with few controls. They are uncertain if mosquitoes are being eradicated or whether they will return with renewed vigour. Data from countries such as Tanzania, Eritrea, Rwanda, Kenya and Zambia all indicate that the incidence of malaria is dropping fast. Researchers believe this is due to effective implementation of control programmes, especially the deployment of bed nets treated with insecticide.